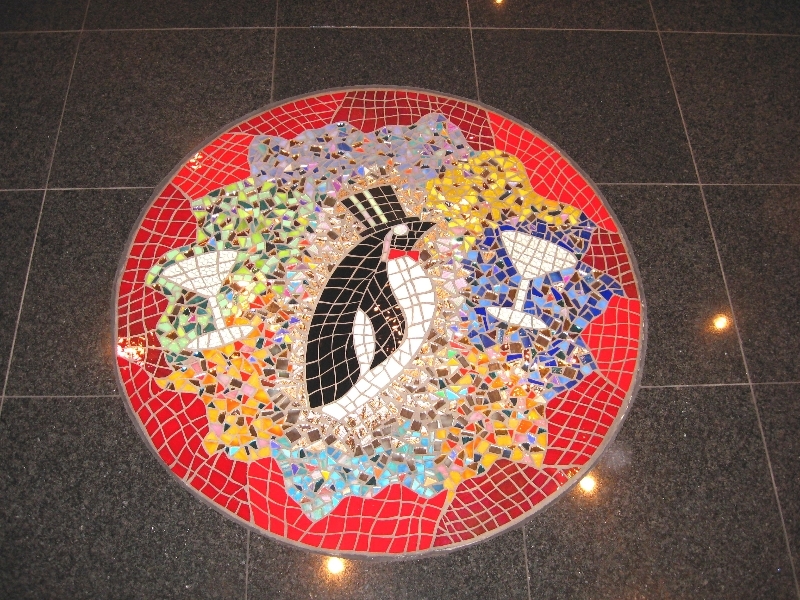 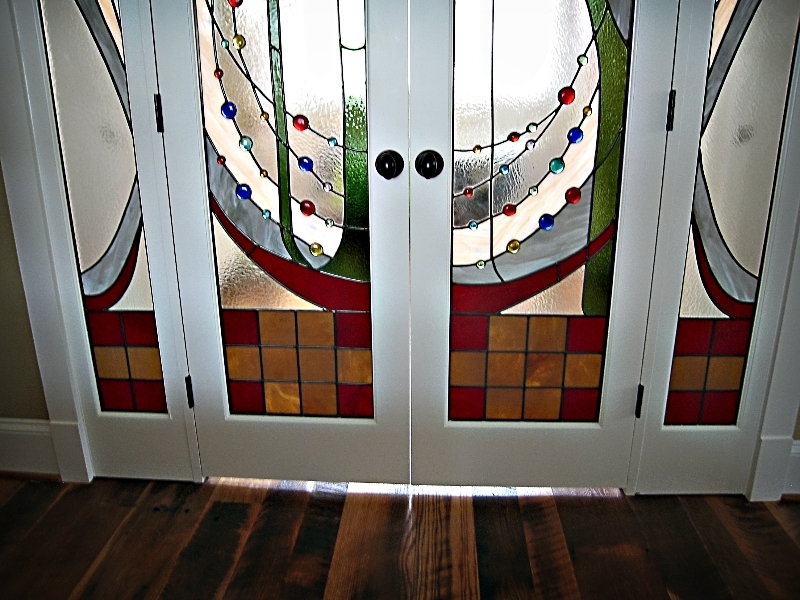 The client specified a bright yellow and red in this nod to the Arts & Crafts movement. 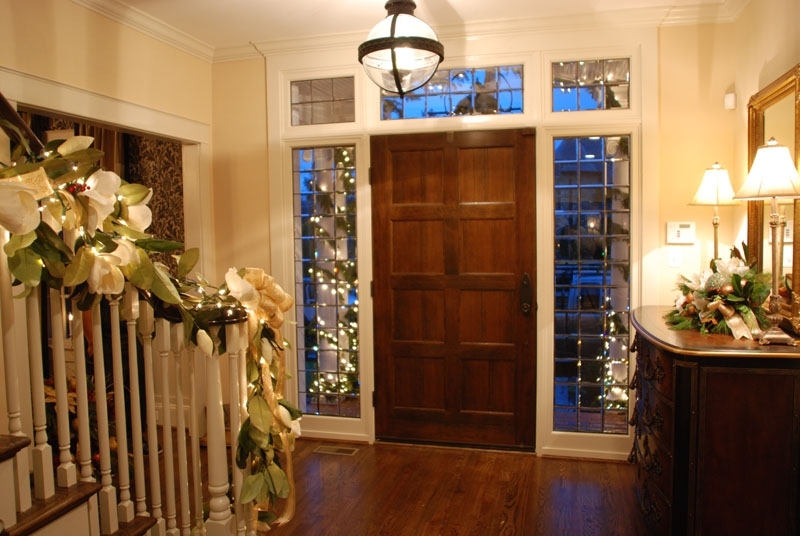 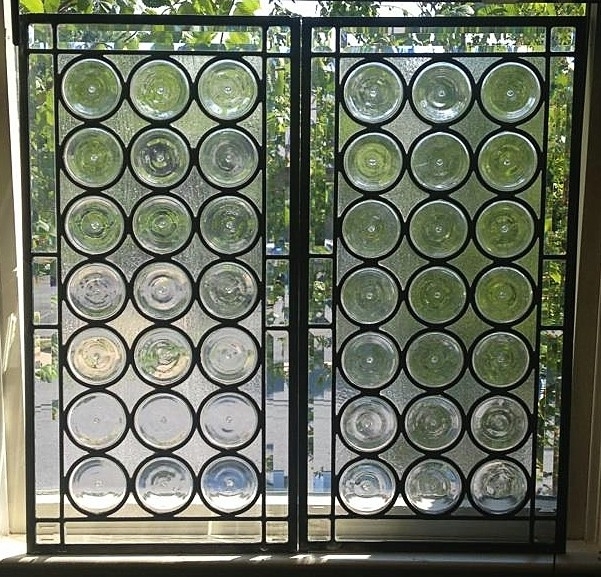 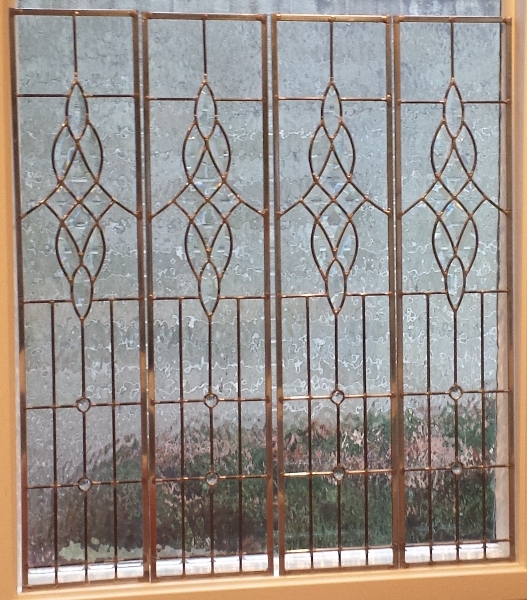 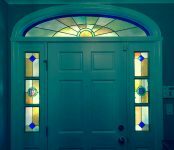 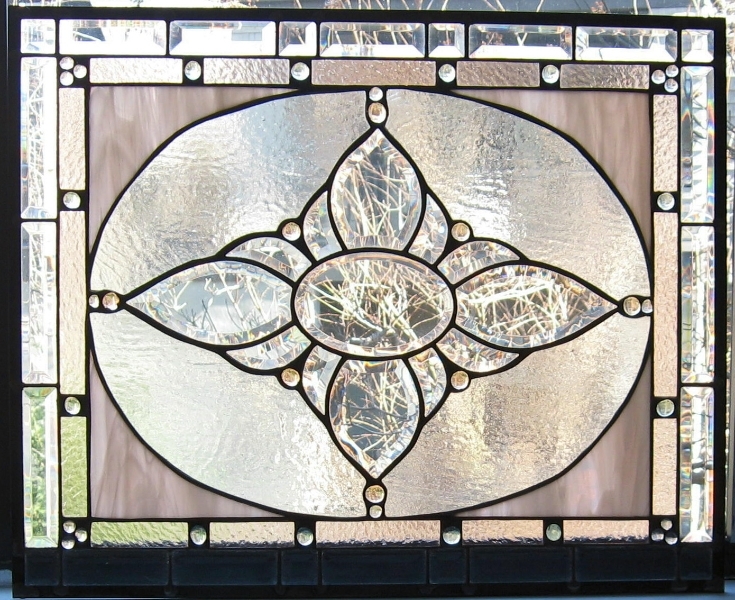 The panels were installed as sidelights to the home’s entrance. 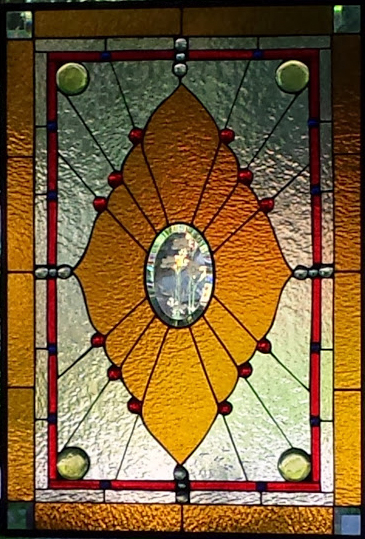 This Golden Victorian Panel consists of beautiful deep golden/amber colored glass, hand-made glass jewels from Germany, and mouth-blown red glass and bevels. 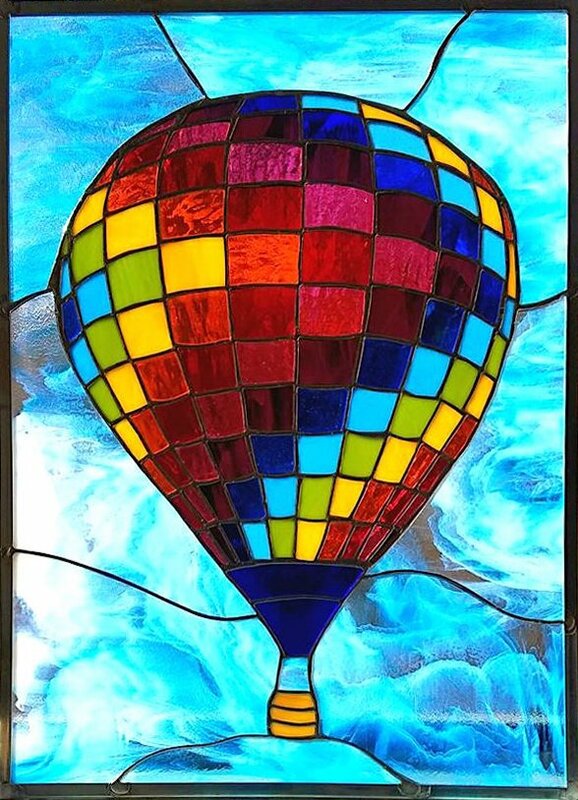 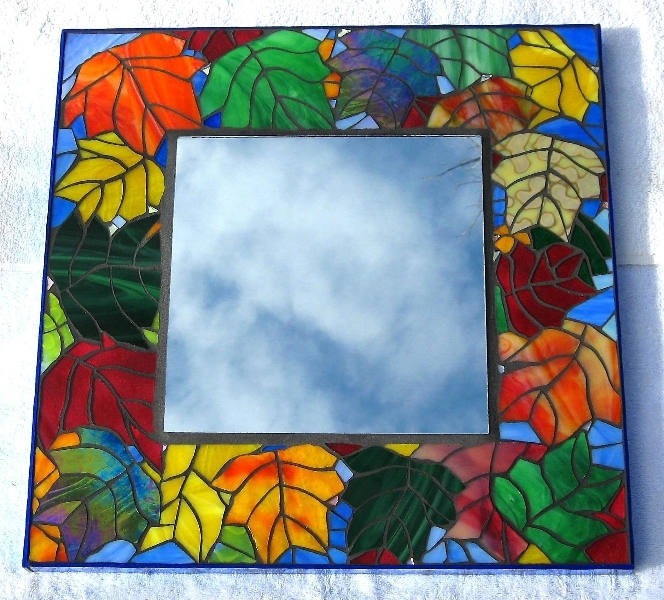 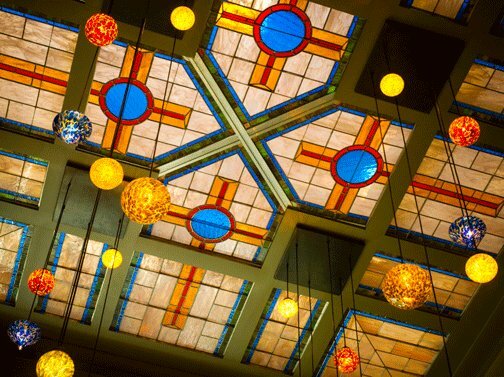 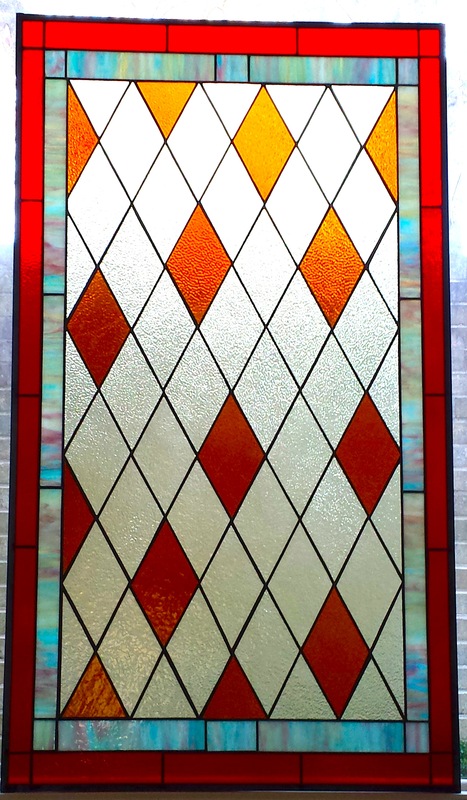 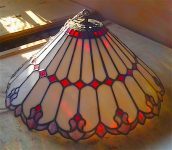 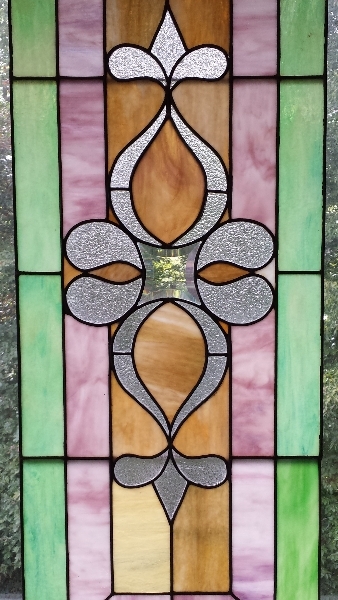 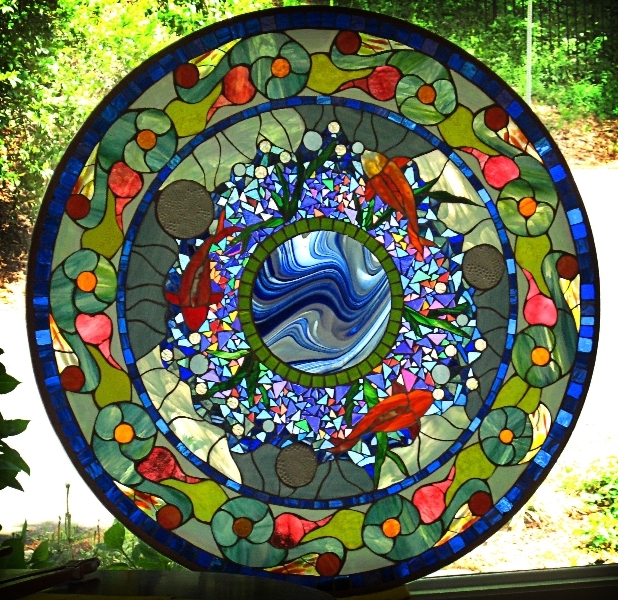 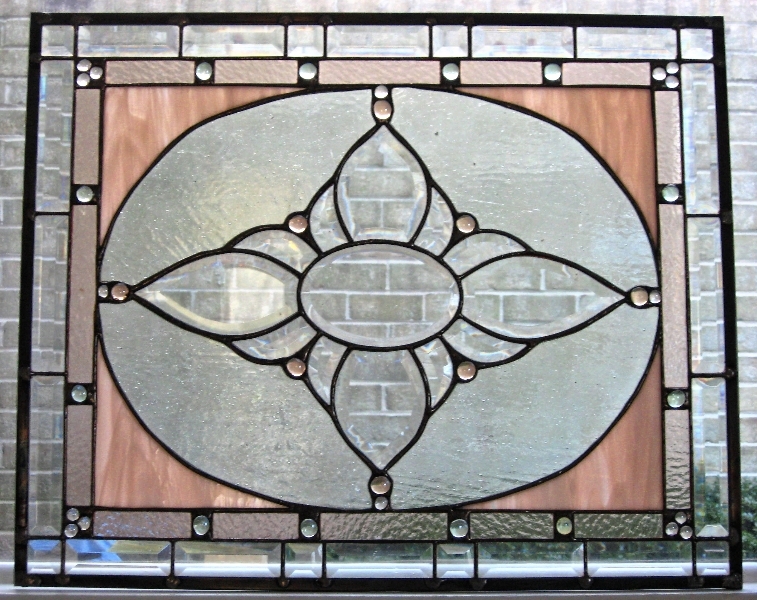 This is an original design inspired by the Victorian era in elegant stained glass. 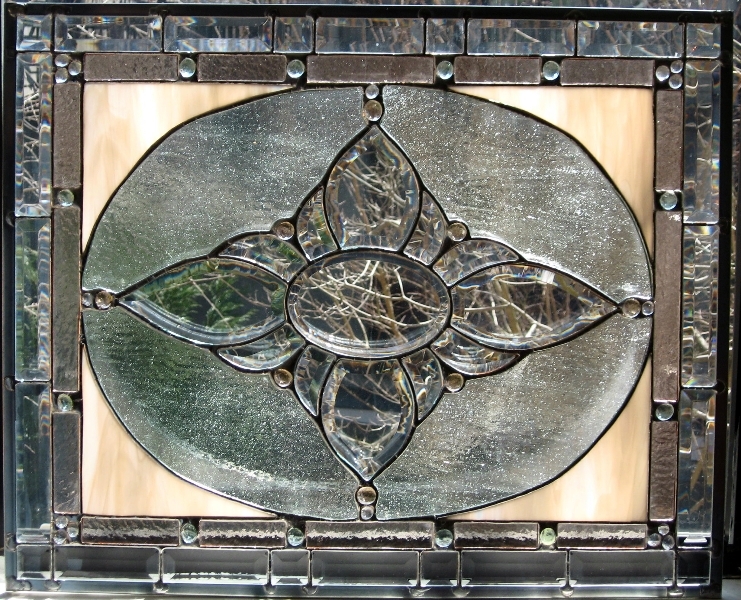 Center beveled oval is etched with beautiful flowers. 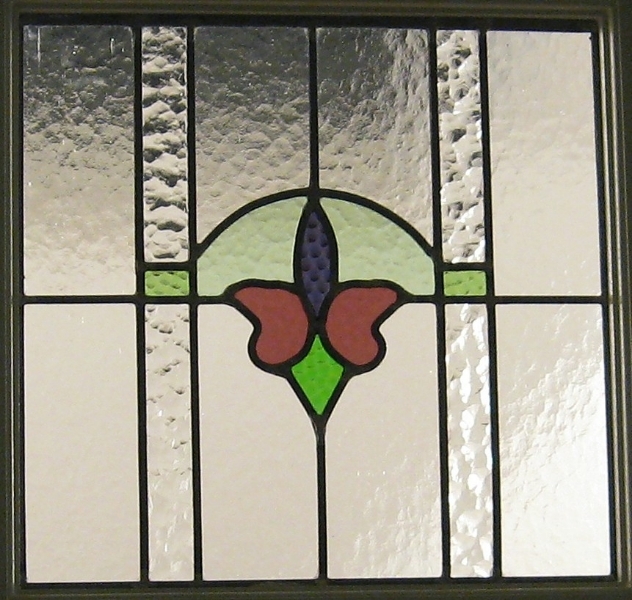 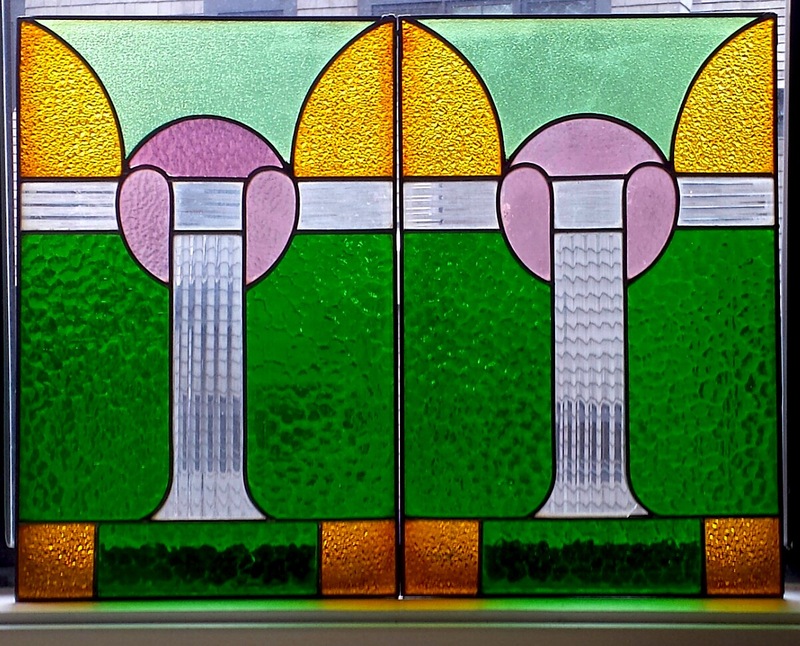 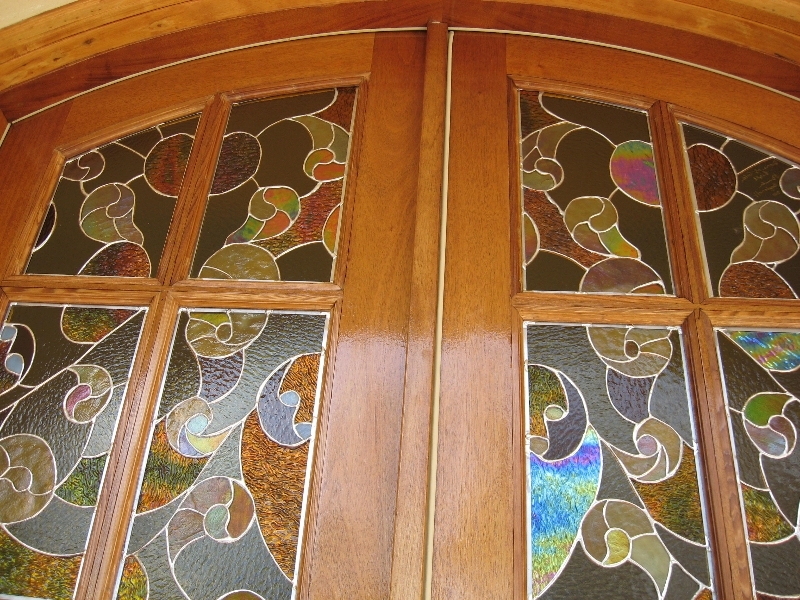 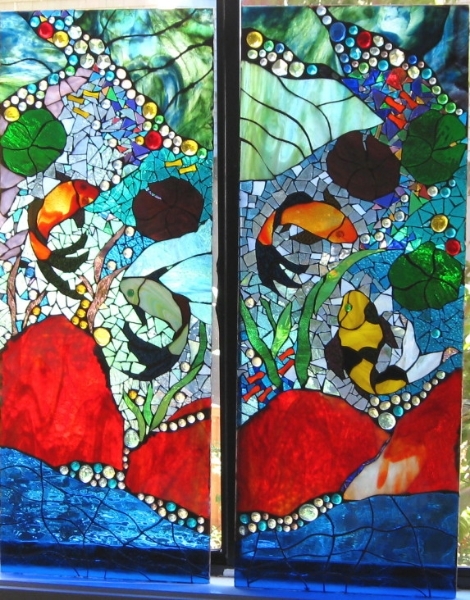 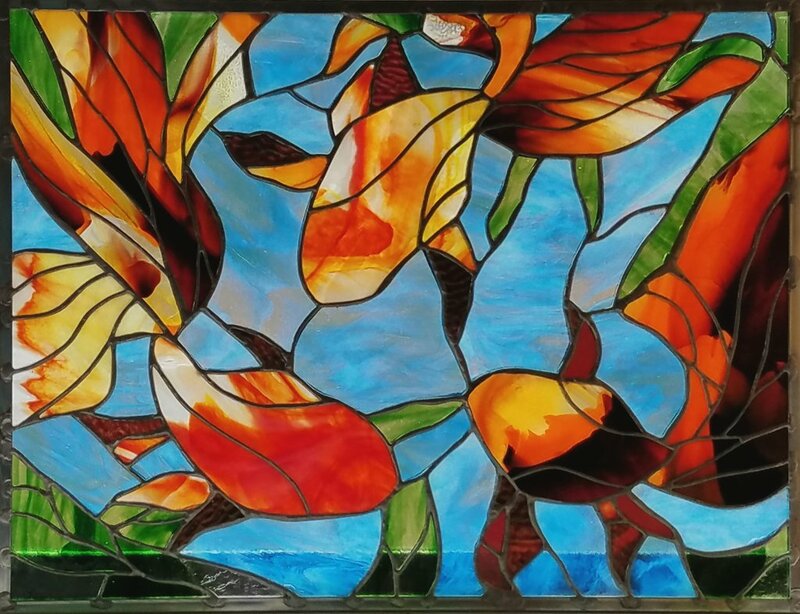 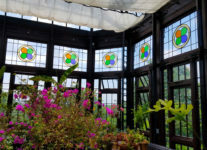 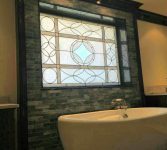 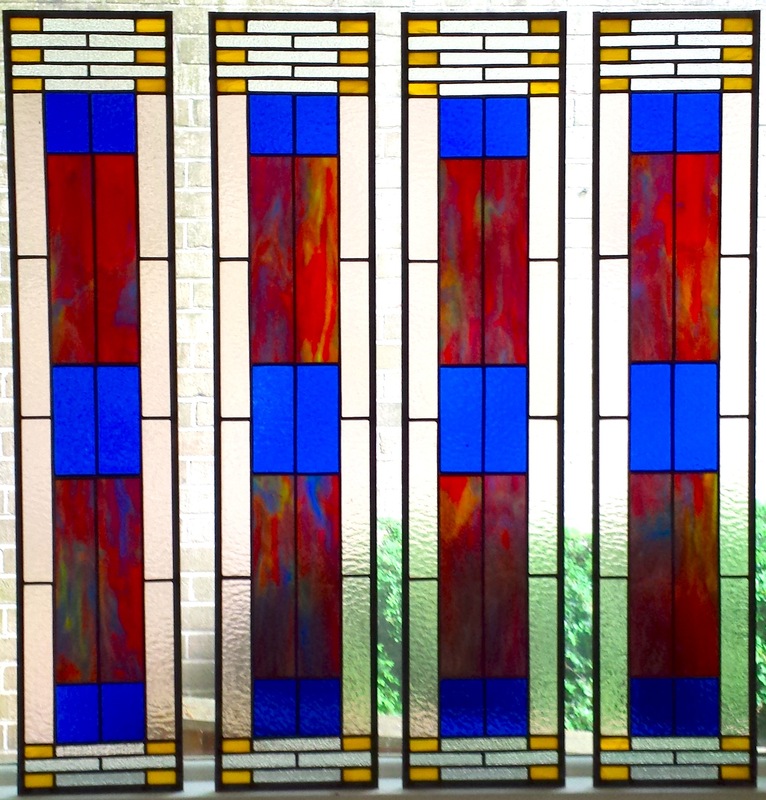 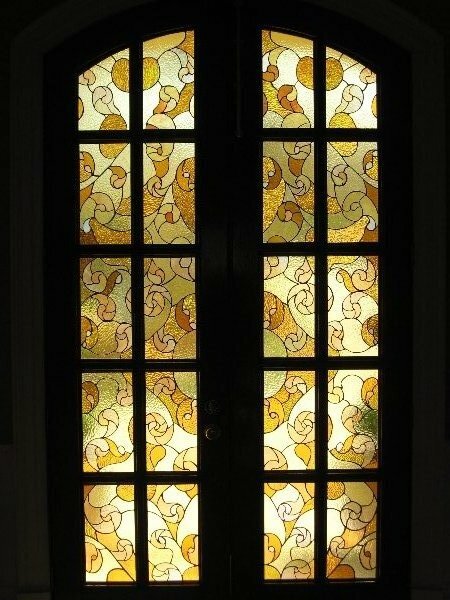 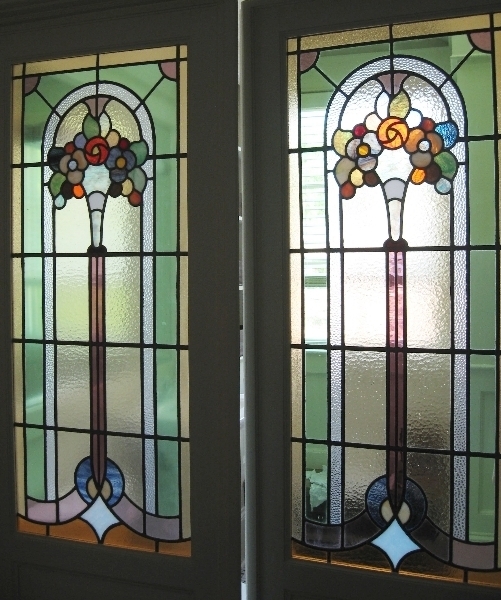 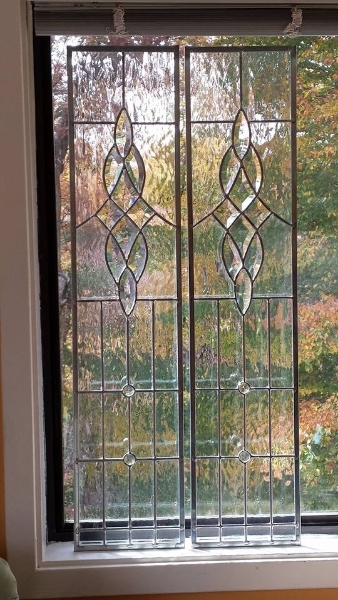 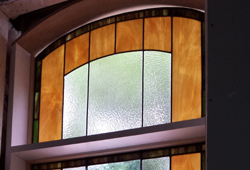 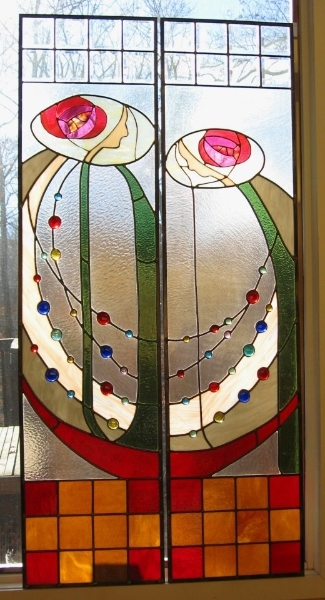 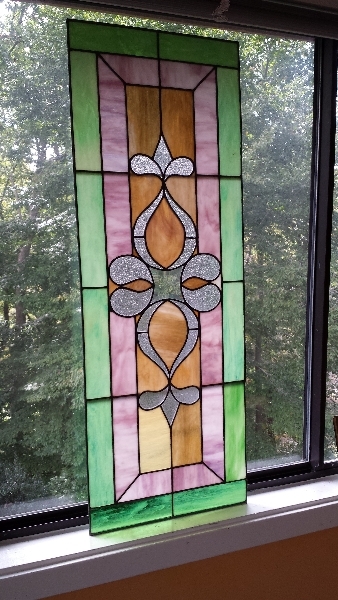 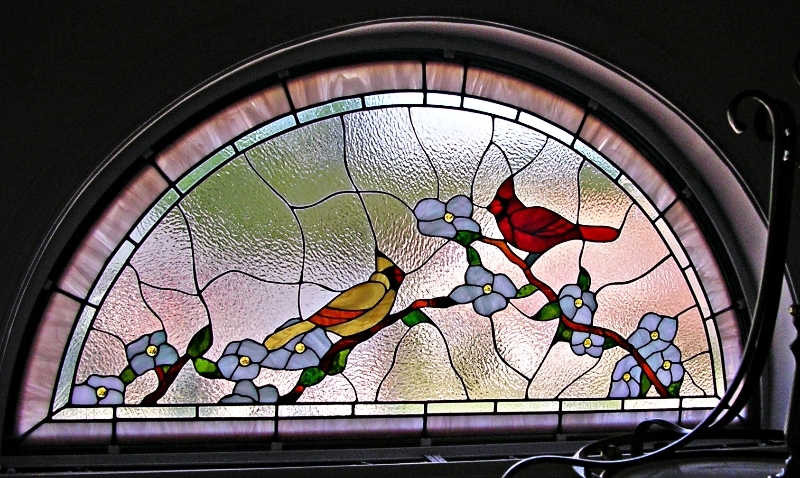 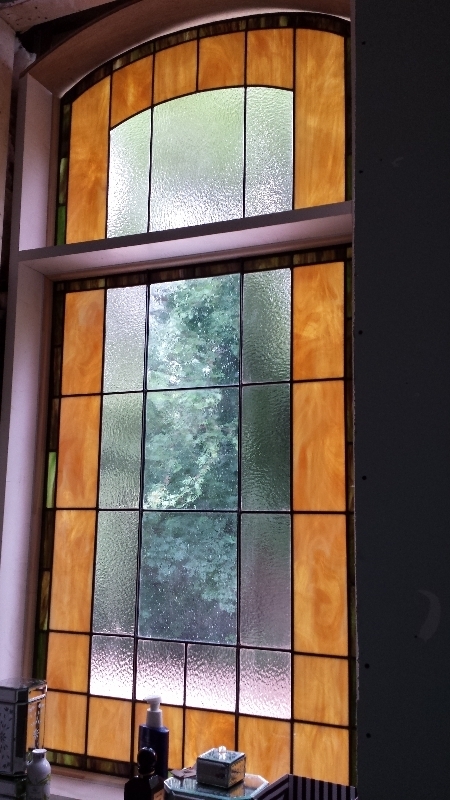 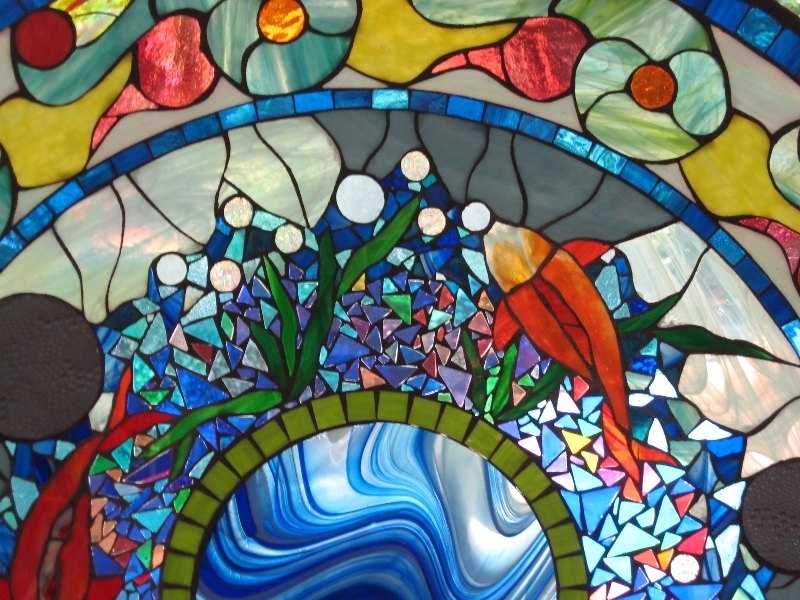 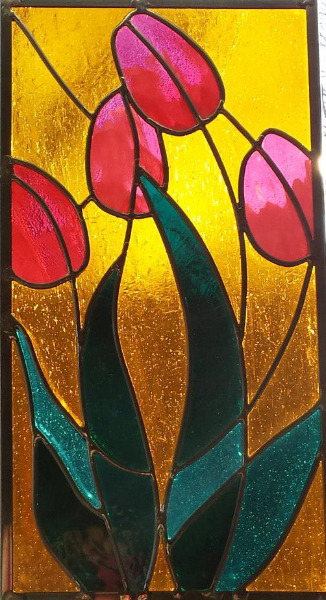 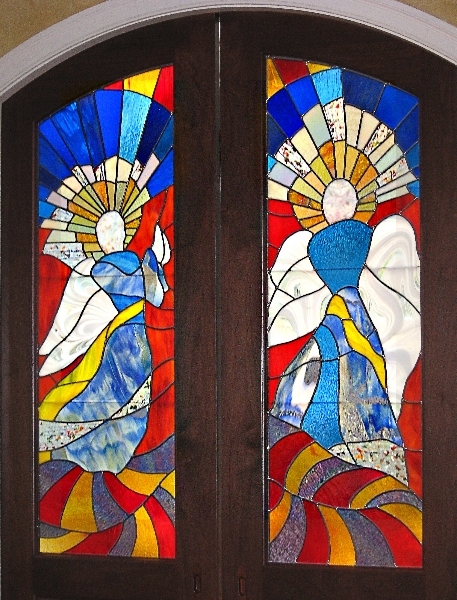 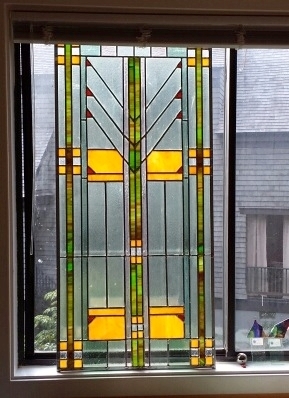 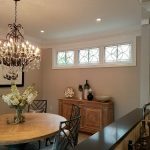 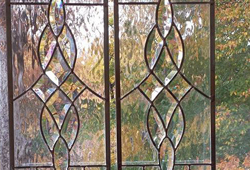 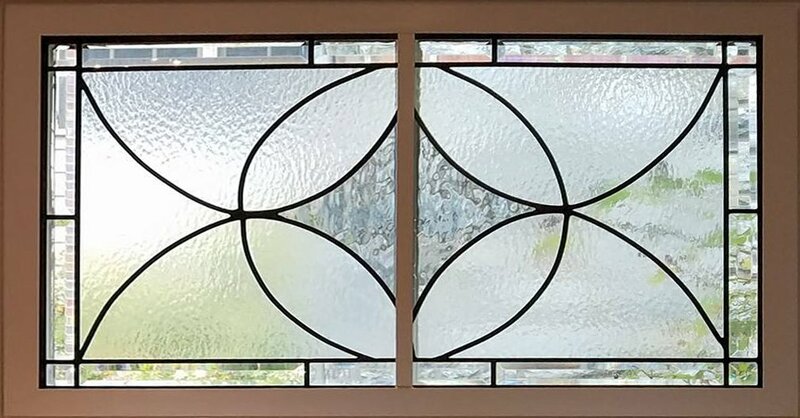 Large glass panel and transom designed in the Arts and Crafts style.